Jurassic World Fallen Kingdom is the latest sequel to Jurassic World (2015). A new campaign is launched to rescue the remaining dinosaurs from another mass extinction-level event. Jurassic World Fallen Kingdom stars Chris Pratt, Bryce Dallas Howard and more. As one could expect from any Jurassic Park film, Jurassic World has plenty of suspenseful moments to look forward to. Many of those moments can be attributed to not only the dinosaurs, but a number of dangerous predicaments the main characters find themselves in. The cinematography was executed pretty well especially during the more thrilling scenes. The dinosaurs are presented in a number of ways that can give audiences different perspectives on the creatures. One perspective that we can always bank on is that the creatures are still just as terrifying as ever. Probably one of the best demonstrations of this was the introduction of the newest dino terror. What made this new dinosaur so intriguing (besides its traits) was that it actually manages to be a bit of an anti-villain that audiences may root for. What makes Fallen Kingdom so different than the other films is that this one seeks to bring in an extra level of emotion, drama and heart. This film probably has the most amount of humor and it is definitely taken up a notch compared to the previous films. Chris Pratt naturally has a number of one-liners, quips, and funny moments that we’ve all enjoyed from him in other movies. As for the drama, if you’re an animal lover, then there are plenty of moments in this film dealing with animal treatment and rights that may pull at your heart strings. I think I’ll have to start off with the fact that this movie felt terribly disjointed. The writing and the direction were problematic in a number of places. The characters make the worst decisions possible which only lead to what feel like staged situations. In other words, there are a number of scenes that felt like they were shot JUST to make a movie, and not to tell an actual story. One scene in particular that stands out (the scary bedroom scene), came across as a typical horror trope that made no sense at all. Instead the entire scene appeared to be made for the sake of having good trailer material. While this may work for some people, I was not a fan of the more animated and comedic direction this movie suddenly shifted to. It gets to a point where it’s so over the top that the dinosaurs themselves feel more like cartoon characters, rather than the terrifying creatures they’ve always been depicted to be. Seeing a dinosaur smile or cry is just over the top. If this were the way the previous reboot were to set the tone, then there may be less of an issue. However, making such a drastic shift with the comedy simply feels off. The saddest aspect of Jurassic World Fallen Kingdom is that it had a great opportunity to create a distinctive path for the franchise, but instead it relied on replicating scenes from previous Jurassic movies. The film relied entirely too much on trying to reproduce the nostalgia of the first Jurassic Park film. Essentially there are too few scenarios presented that we haven’t already seen in previous Jurassic Park sequels. Jurassic World Fallen Kingdom is cheesy, predictable, but entertaining. It’s one of those movies that you’ll enjoy if you don’t bother thinking about things during the movie. I can’t even call it a bad movie because it does have a good mix of entertaining moments. However, as a film, it’s poorly constructed and the writing has a lot of room for improvement. I know I mentioned the animal rights angle that this movie takes, so I wanted to put this in a better perspective in terms of how it relates to this movie. There are pet owners, and then there are animal lovers. This movie feels like it was made for the animal lovers who french kiss their pets. 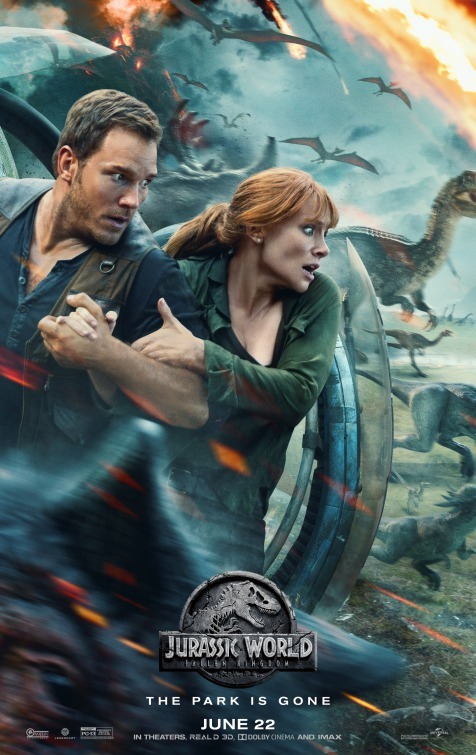 Jurassic World Fallen Kingdom feels like it sacrificed the authenticity and charm of the original Jurassic Park film in exchange for cheap entertainment and laughs. 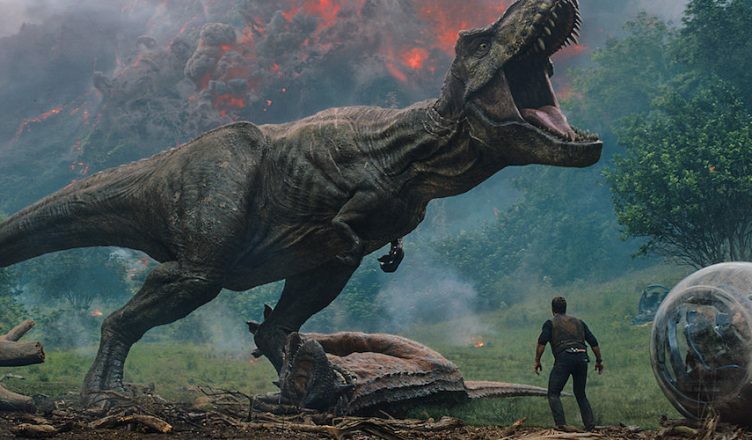 Was it better than the last Jurassic World (2015)? I don’t think so. Is it worth seeing in theaters? Sure. I’d recommend going in with low expectations, and probably making this a matinee in order to maximize your movie going experience. Jurassic World Fallen Kingdom is in theaters now. Be sure to follow E-Man’s Movie Reviews on Facebook, Subscribe on YouTube, or follow me on Twitter/IG @EmansReviews for even more movie news and reviews! Did You Catch The Avengers Infinity War Secret Ending? victoria filmsca on How Do You Handle Rude People In A Movie Theater?